Home > PHOTOS > Alleged Husband Killer, Maryam Sanda Welcomes Baby Boy ! Alleged Husband Killer, Maryam Sanda Welcomes Baby Boy ! SaharaReporters understands that a low-key naming ceremony will hold tomorrow, August 14, 2018, meaning the baby was born last Tuesday, August 7, 2018. 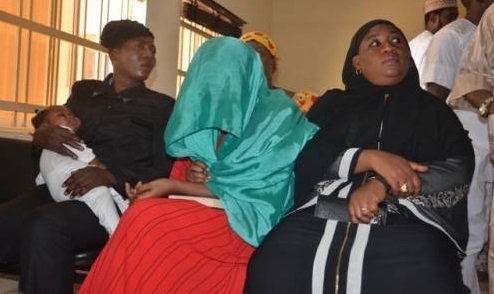 Maryam, daughter of Maimuna Aliyu, the former Executive Director of Aso Savings and Loans Limited, whose nomination to the board of ICPC was withdrawn by Vice President Yemi Osinbajo following corruption allegations was arrested after allegedly stabbing her husband to death in the neck, chest and genital area on November 18, 2017 over alleged infidelity. Maryam was granted bail in March due to her pregnancy and illness. The case remains in court.